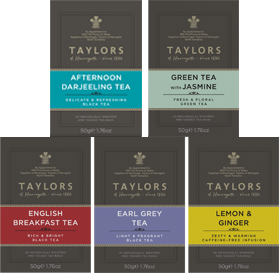 Our extensive selection of fine British Classic teas range from rich black teas selected at their seasonal peak, to organic and decaffeinated blends, elegant green teas, and refreshing herbal infusions. This newly redesigned range is currently sold in over 35 countries over the world and is available in a 20 count pack for retail, and 100 count pack for out of home (HORECA) providers, as well as leaf tea caddies and cartons. A proper cup of tea, pure and simple. The third best selling and fastest growing standard black tea in the UK market. 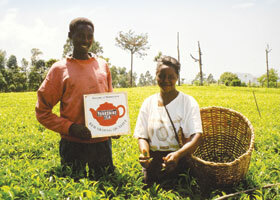 To give our blend its refreshing flavour, strength and colour we use top quality Assam and African teas. 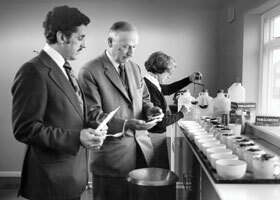 And we go to great lengths to make it properly, from tasting 1000s of teas a day to find the best for the blend, to thinking about the water customers will brew it with at home. 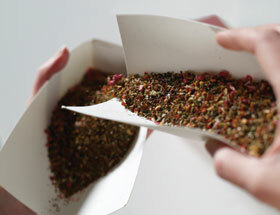 This tea comes in naked tea bags as well as in a loose leaf format. The UK’s best selling ground coffee, bought by over 1.7m households. 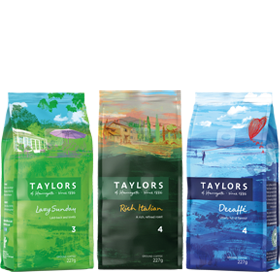 Taylors means flavour. We find beans with serious character, slow roast them until their flavour hits the sweet spot and craft blends with impeccable balance. Our coffee experts have decades of experience seeking out the very best beans from the world’s best growing regions. It’s all about doing things properly – from the way it’s grown to the flavour in your cup. 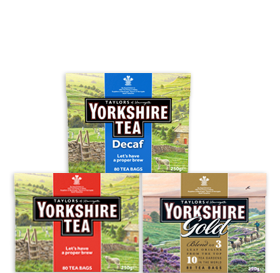 Our range of teas and coffees are sold across the world. See our list of distributors below.